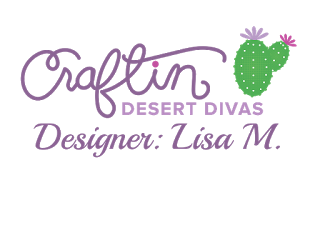 Craftin Desert Divas Blog: What A CATastrophe! Hi and welcome, everyone! Lisa, from The Relativity of Paper, bringing you the CDD Daily Post. 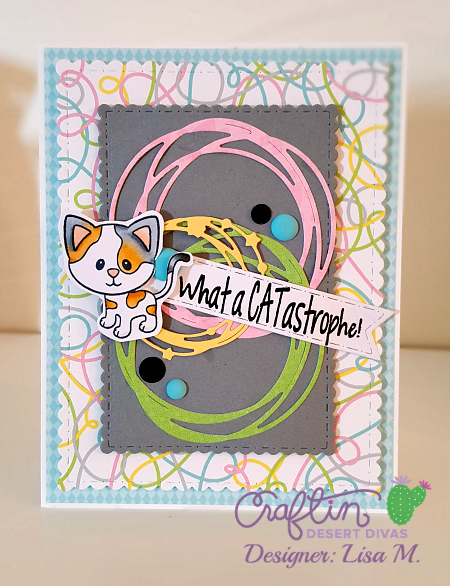 The inspiration for this card comes from my niece and her cat, Gracie. I came home Saturday after a long day with them to find some happy mail on my porch. Fur-Ever Friends Stamp Set is one of my new goodies. This stamp set pairs perfectly with the Kitten Smitten and Puppy Love paper. 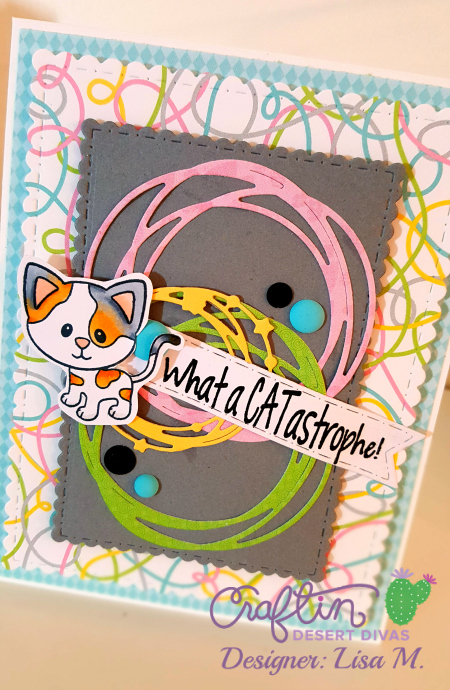 I colored the little kitten to look like Gracie, did a little die-cutting with Fancy Frame Dies, Scribbled Circle Dies, and Flag Banner Dies, layered on patterned papers from the Kitten Smitten paper pad. You can find all the details on my blog, The Relativity of Paper. Super cute!! I love the kitty, and the color scheme! !